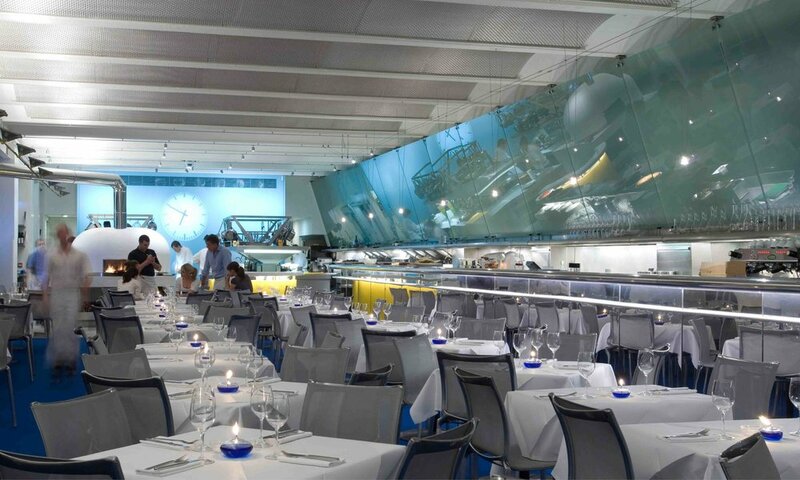 The River Café, one of London's most celebrated restaurants, re-opened its doors on 6 October 2008 after a £2 million redesign. Following a fire in April 2008, co-owners Ruth Rogers and Rose Gray commissioned Stuart Forbes Associates to re-design the space with a new open kitchen, private dining room and cocktail bar. Significant additions also include a kitchen table within the working kitchen zone and a glass enclosed cheese room based on a classic Italian design. The kitchen is open to public view, enabling diners to observe the chefs in action. Another notable addition is a new wood burning oven dominating the dining room and kitchen. Manufactured by the Italian firm of Valoriani, this type of oven, made in Reggello in the hills of Tuscany 25km southeast of Florence, is key to the preparation of the The River Café's many dishes. The reception desk and 'pass' have been constructed in vivid yellow 'Corian' and dramatically top-lit. This new area is located next to The River Café bar which has been adapted and enhanced with a new back-lit bottle display. Behind the scenes, the bathrooms have been re-planned and reconstructed with fluorescent primary colours and significantly increased space. Since the re-launch in September 2008, the restaurant has enjoyed the acclaim of the world's food critiques and architectural press and continues to be one of the most influential food establishments. ruthie rogers choosing the freshest ingredients for the river cafe. a chef bringing in the ingredients to the resturant. The huge wood burning stove in the River Cafe. Freshly baked bread by the chefs. Team effort. The restaurant prep is done alongside the main space. Chefs cooking in the open kitchen of the river cafe.